Thanks for your interest in a career with Nicolet Broadcasting. Please fill in the form below and upload your resume in pdf or doc format. Specify the type of position you seek. We will be in touch. This position offers support to the sales staff and managers by handling much of the office work, including drafting proposals, which allows the sales staff to focus on meeting with clients and developing business. Our five stations have openings for inside and outside sales. Our training program is recognized throughout the industry. Nicolet Broadcasting has been cited as one of the 30 best companies to work for in the broadcasting industry. Our great salespeople make an incredible amount of money. Details on base and commission available on our website. We do radio right and welcome you to consider joining us. If you're good at sales this position might be right for you. Date Available: Immediately Hours: Full-time Education/Experience Required: Experience preferred. Benefits: To be discussed at interview. We hope to provide area high school students an opportunity to learn about the broadcasting industry and news-sports reporting. Student Correspondents are paid $20 per approved and recorded story that includes audio and video. $15 without. Members of the DoorCountyDailyNews.com staff will assign stories and deadlines to Student Correspondents. Please write a draft of your story, submit it to the news department for approval and, when approved, record and email audio, text and video to news@doorcountydailynews.com. You will be paid for stories written between the 1st and 15th of the month on the 25th and you will be paid on the 10th of the month for stories written between the 16th and end of the month. Being a Student Correspondent can make you a very influential and important student at your school. You can be a link between our listeners, readers and viewers and your school district. Your role is to assist our efforts to share positive news about programs, events and people as well as make our audiences better-informed citizens and participants in democracy. This experience can be an outstanding resume-building opportunity. It may assist your efforts obtaining college scholarships and employment in the future. Click here to learn why you should work with us from RadioInk! 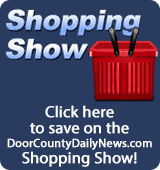 Your registration information is for the use of DoorCountyDailyNews.com only. 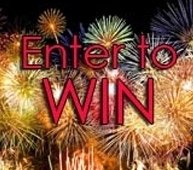 We collect information in order to keep you informed of contests and events sponsored or promoted by DoorCountyDailyNews.com. 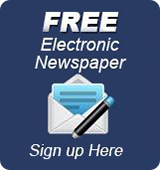 DoorCountyDailyNews.com will not sell, rent or in any way distribute personal information supplied to us by you. The information you provide us stays with DoorCountyDailyNews.com only.